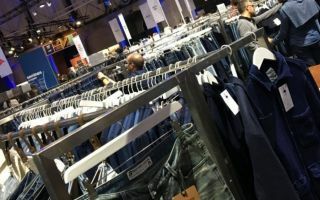 16th edition of Denim Première Vision at Barcelona, 27th-28th May 2015, the leading fair of the international upstream jeanswear sector and Vicunha. “We had a very busy fair. Brazil is now competitive again, and this is why we made the decision to return to Denim Première Vision. Indeed, the fair in general was very well visited and our stand in particular was humming with activity. Our Vicunha collection was spot on the current trend. The Brazilian washes raised great interest. We had fantastic prices to match our offer of fast and flexible service ‘ex’ Rotterdam and Colombo. A complete cross-section of our European clients came to the stand. All the important verticals and many important brands as well. I believe the fair should be three days and not only two. The last day is always slower, so there is an overcharge on the first day out of only two. We return from Barcelona in high spirits to continue our way from Brazil into Europe,” said Thomas Dislich, Director Vicunha for Europe and Asia. Clean and cool are the buzz words! Not just as the time-honoured leitmotif in matters of sustainability, eco-conservation, service and social responsibility but also as an expression of the collection itself. Besides authentic denims, it is comfort qualities above all that are at the forefront. PERFECT FIT, with its Beverly or Bruna for instance, pulls off a perfect blend of technological advancement and fashion superbly. A high-performance denim with exceptional flexibility for unrestricted mobility and wearing comfort. For men and women who demand versatility and adore perfect fits. ATHLETIC DENIM: A Golf or Sailing come visually with a distinctive look that feels and fits like jogging wear: jeans on the outside and the comfort of a workout gear inside. 76% stretch provides incredibly unrestricted movement and allows for a wide range of wash options. 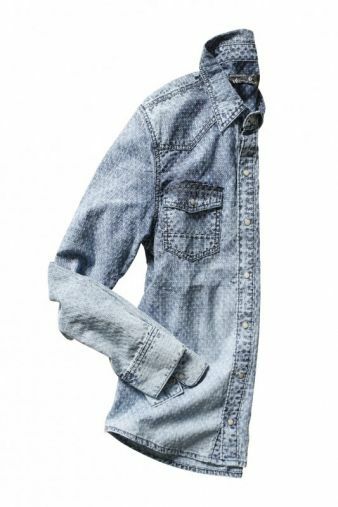 TRUE DENIM: With Gregory or Jon the authentic jean makes a definitive comeback in genuine vintage and raw effects. 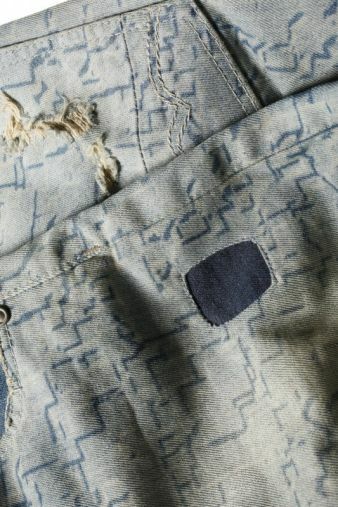 TRANSFORMING DENIM: Qualities such as Ink hold out the wide palette of the TRANSFORMING DENIM: it all depends on the shading and degree of the chemical reaction! Coloured materials coated beforehand with indigo when subjected to the washing process let the original colour beneath the indigo shine through once again, creating unique and exciting 3D effects. The depth of shading is contingent on the extent of treatment. The outcome: exclusive single copies! MOVE SUPER STRETCH: The premium products Marina, Meg or New Tessa of the MOVE SUPER STRETCH variety are made dynamic with e.g. 60 % Power Stretch and 40 % Mega Super/Ultra Stretch. Ideal for high-fashion products with superb wearing comfort and complete form stability. SHIRTING: SHIRTING qualities with, say, an Yves are an integral part of the collection for denims and flats with a soft, silky feel and partially with soft coatings. ESSENTIAL: VICUNHA's own heritage items, like Blaine, that comprise the core competence of the company are constantly re-defined, developed and reprinted as the eternal sales highlights.